The multitude of impressions that the Vikings had on their opponents and victims can be comprehended to some degree by the various names that these sea-faring invaders from Scandinavia were given. The Irish called them Gaill or ‘strangers’, the Byzantine sources mention them as Varangoi (derived from var – a group of men sworn to each other), and the Muslim sources describe them as al-Madjus or ‘heathen wizards’! 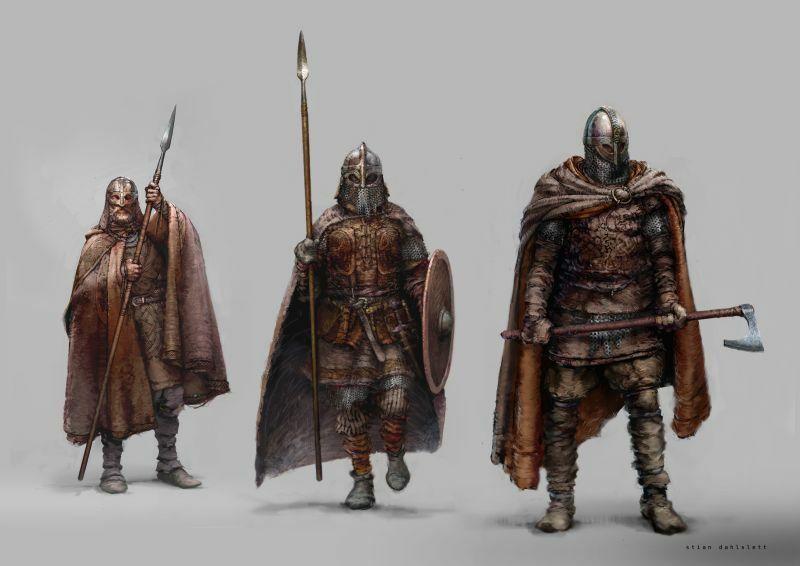 But one thing was for certain – the Vikings epitomized the very term ‘warrior culture’. Using their acumen for building ships, the Vikings were able to raid swiftly along the booty-laden coasts ranging from North Atlantic islands, Russia to Constantinople (present-day Istanbul) and Middle Eastern territories (Viking presence was even found in Baghdad) – an effective stratagem that was nigh alien to then-contemporary factions. However, such expeditious gambits were antithetical to the actual land battles in which these Northerners participated. A good example would be the use of the ‘solid’ shield-wall where massive blocks of men adopted a stationary, defensive stance which was nigh polar opposite in tactical terms to the swift raids by the seas. Such ploys along with the usual bouts of viciousness (like going ‘berserk’) alludes to the versatility of a Viking as an energetic warrior. Simply put – the Normans continued where the Vikings left. Their name being derived from Latin Nortmanni, the Normans themselves gave their name to the northern province of Normandy in France. And historically, they were actually the descendants of the Vikings who had settled along this strategic coastal area, and had intermixed with the native Merovingian stock. The result was a resourceful people who believed in their indigenous culture of Gens Normannorum – which to some degree fueled their ‘destiny’ to explore and conquer lands across various parts of Europe and even Asia. This self-identifying sense of ingenuity and adaptability allowed the Normans to basically succeed where the Vikings failed. 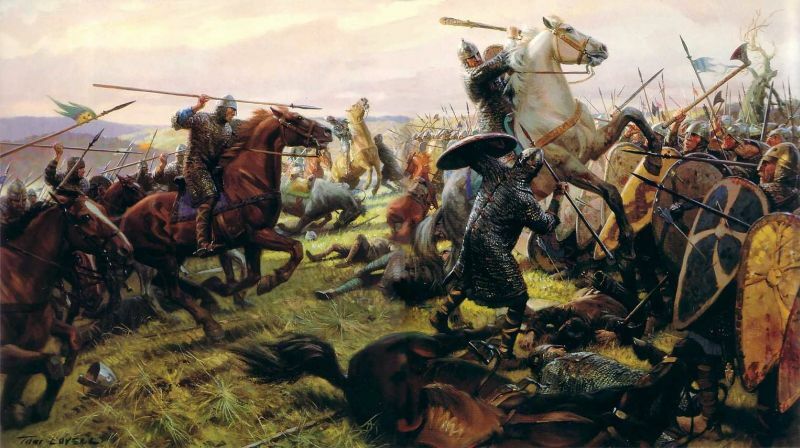 To that end, the Normans were known for their equal measures of ferocity and cunning, while their thriving culture inculcated military prowess and leadership at the same time. So, it really doesn’t come as a surprise that the Normans (like William the Conqueror) are still counted as the last continental force that successfully invaded Britain. Additionally, they established long-lasting kingdoms in Southern Italy, Sicily and even Antioch (present-day southern Turkey). And, at last but not the least, they were among the early proponents of shock cavalry with couched lances – a factor that gave rise to the knightly class; warriors who were to dominate European battlefields for centuries to come. 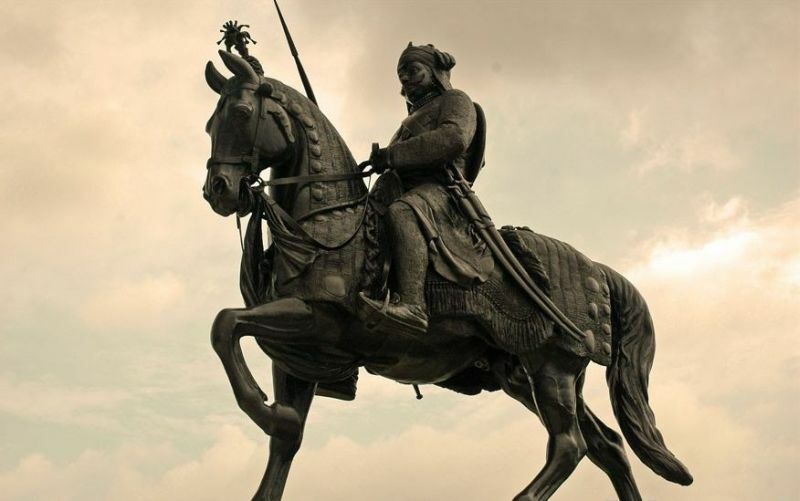 What makes the Rajputs stand out from the rest of Indian society was not their (probable) foreign origins but their fanatical attempts to assert their Kshatriya status. Over time, other Indian groups followed their example and claimed descent from the (mythological) solar and lunar races, establishing themselves as Rajputs in various parts of western and central India. Such ‘attempts’ actually reflect the Rajput warrior ethos, courageousness against overwhelming odds and their free-spirited aspirations. In that regard, we also know of the Rajput’s love for his weapon – which was seen as a physical extension of his martial resolve and ardor. This tendency was specially signified by the ritual of Karga Shapna that amounted to ‘love for the sword’, after which the warrior was given free reign to pursue his passion for honor, revenge and even plunder. Once the rulers of the largest contiguous land empire ever witness in the history of the world, the ruthlessness of the Mongol warrior needs no introduction. But unfortunately in an objective manner, it is this very veneer of ruthlessness that has overshadowed the true Mongol achievement in military history – their veritable mastery of the very art of war. This dramatic statement is backed up by purely statistical terms. The Mongols have won the most number of battles (than any other global faction), they had controlled the largest expanse of land territories ever known to mankind, and is still counted among the very few invasion forces that had successfully conquered Russia during the winter season – a gambit that was taken as an advantage for their own improved mobility along frozen lakes and rivers. All of these momentous feats pertain to the grand strategies of their leaders followed to the letter by tactical blitzes and military acumen. 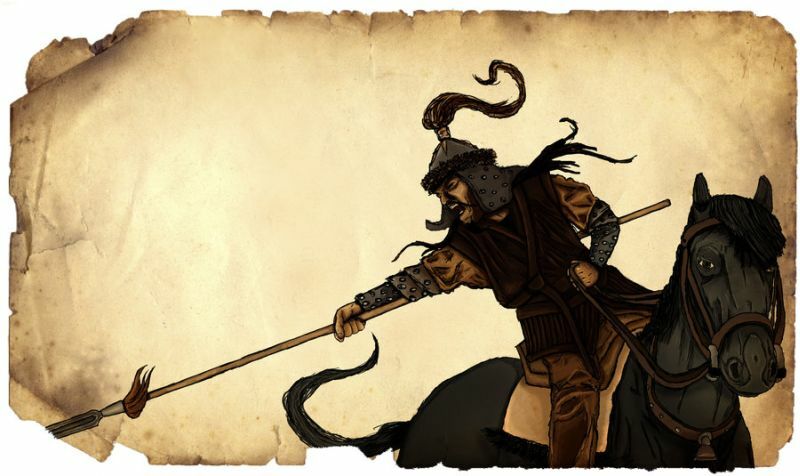 In essence, the Mongol horde was not just a nomadic ‘horde’ of barbarous horsemen rampaging across lands of sedentary civilizations – rather, it was an imposing war machine in itself, with far-advanced organizational capacity than its opponents, which was equally matched by tenacious ferocity and mobility of the individual Mongol. 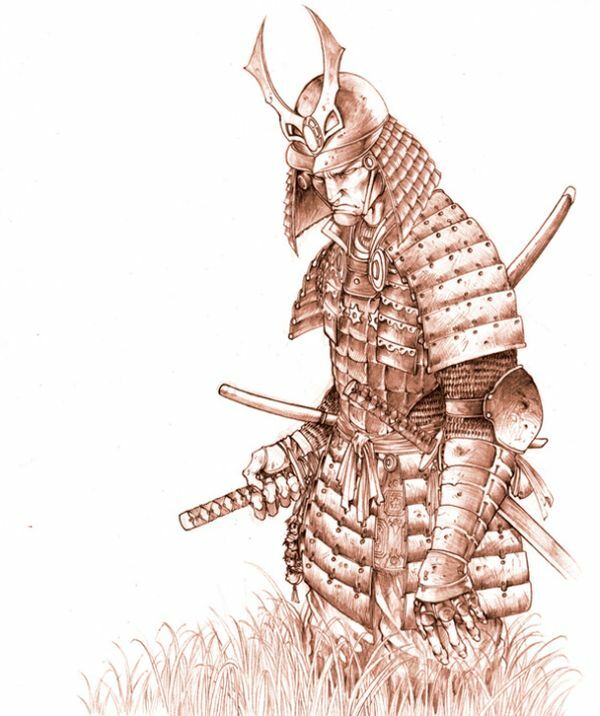 Japan’s feudal answer to European knights, Indian Rajputs and Arabian Faris; the Samurai served as the military nobility of the far-east nation for over 700 years. 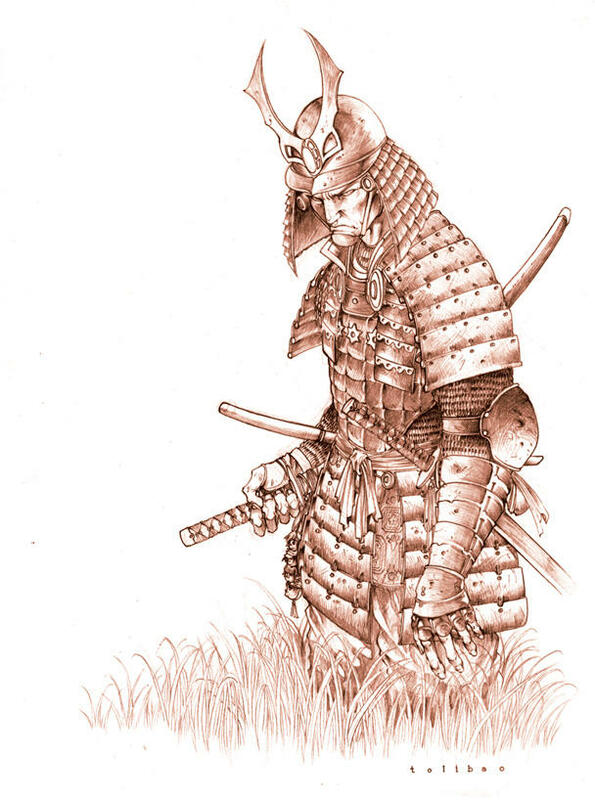 But oddly enough, the Samurais didn’t actually start out as higher ranking members of the Japanese society – they rather served the roles of private bodyguards of rich landowning clans before 12th century AD. As a matter of fact, they were instrumental in turning the tides of war for Minamoto Yoritomo in 1192 AD, who toppled the central government to start Japan’s first Shogunate – which in practice was a state ruled by a military commander. However, the Samurais truly reached the highest echelons within feudal Japan’s rigid social structure during the warring Edo Period from 1603 AD to 1867 AD. Mirroring their newly found social ranking, they were only the men allowed to own and carry swords, while their permanent residences were fixed by their daimyos or feudal lords within castle-towns. Other than swords, the Samurais were also known for their mastery of other weapons like bows and arrows, spears and even guns. But arguably more renowned was their fanatical adherence to the warrior code of Bushido, which evolved after the 16th century with concepts of loyalty, honor, warrior ethics, along with ideas of neo-Confucianism, Shinto and Zen Buddhism. The military culture of the Mamluks is perhaps the most unique among all the entries here, as the very term ‘mamluk‘ denotes a slave. In essence, the Mamluks were recruited from various ‘fringe’ factions including that of Turks, Kipchaks and Circassians – which was a pretty common Muslim military practice from the time of the Abbasid Caliphate, when the slave soldiers were known as ‘ghulams‘. 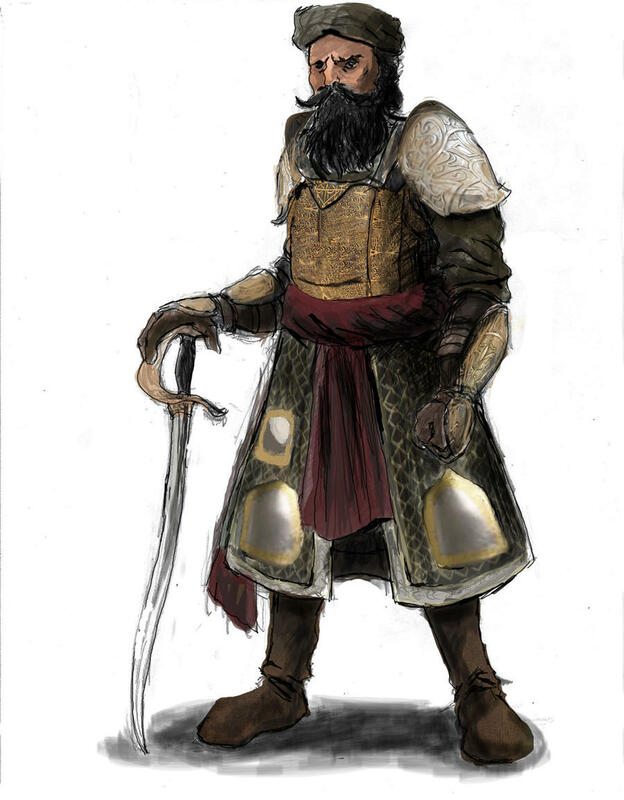 The last great Ayyubid sultan (Saladin’s dynasty) al Salih expanded the scope of this slave recruitment in a bid to unify his realm through strength, which resulted in an elite corp of Mamluks making their base in Cairo. 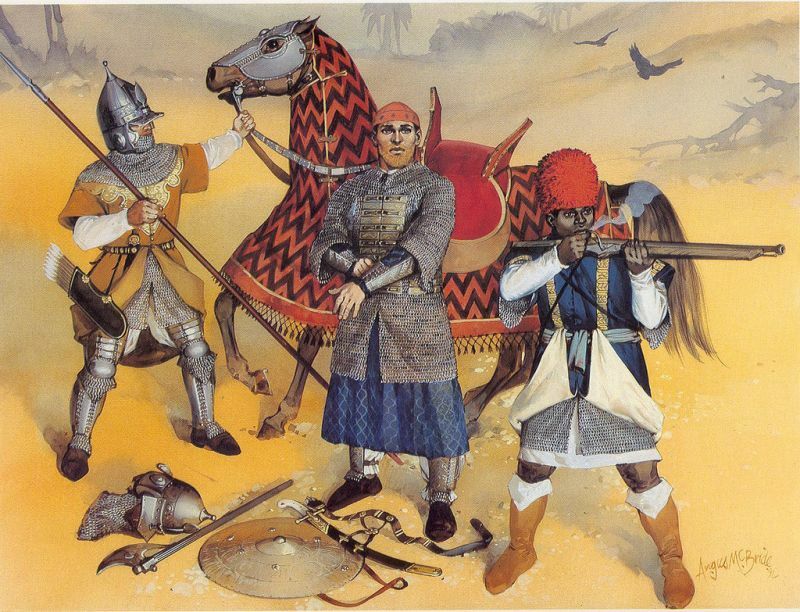 These slave warriors finally toppled al Salih’s own son, to start the Mamluk Sultanate that successfully drove away the remnant Crusaders, defeated the Mongols and even rivaled the future Ottomans. Now, the term ‘slave’ can be misleading from our modern perspective. But historically, recruited slaves in most Islamic kingdoms, had a far more honorable status and even higher standard of living than that of ordinary folk. The Mamluks carried this incredible tradition forward with evolved emphasis on rigorous military training, religious piety and even literary education. The result was a highly motivated and heavily armored group of men – who for all-intents-and-purposes belonged to the crème de la crème of the medieval Egyptian society, in spite of them being foreigners in almost all cases. During its zenith period, the Ottoman Empire stretched from Iraq to Hungary, while also covering most of the coastal areas of North Africa. In fact, the burgeoning Islamic realm almost brought the then-Christian world to its knees, by the sheer effectiveness of its military machine. And, perhaps that shouldn’t come as too much of a surprise, given the Ottoman pedigree pertaining to an eminent legacy of earlier Seljuk Turk, Eastern Roman, Mongol and even Mamluk traditions. 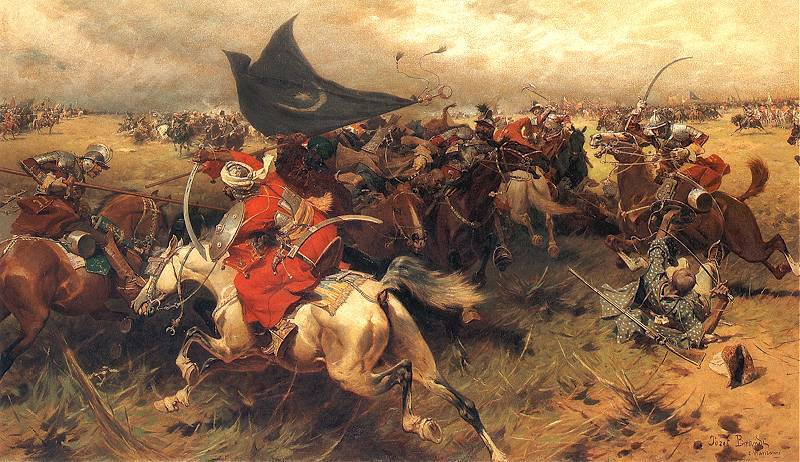 In essence, many historians believe the Ottoman Empire lived for war. Their territorial infrastructure, roads, engineering projects and mountain passes were all aligned and designed for the ultimate purpose of conquest. And conquer they did, by subjugating the Balkans by 14th century, and finally capturing Constantinople, which was probably the biggest city of the world in 15th century, in 1453 AD. Furthermore, they were among the first factions that fully utilized the tactical advantage of gunpowder in battlefields and sieges – as is evident from the advanced firearms of the Janissary corps and the massive cannons of Turkish make.